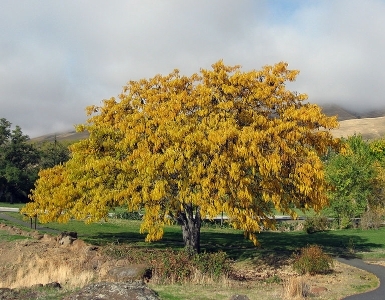 A honeylocust half sibling population has been established at the East Tennessee State Nursery and includes approximately 226 surviving individuals. Seeds were collected from a mother tree from Butternut Valley to develop this population. The population is being maintained by the UT Tree Improvement Program. Genotyping by sequencing is currently ongoing for a subset of this population with the aim to produce a genetic map. The genotypes will be posted when publicly available. There are 327 SSR markers associated with 327 features in this organism.